Most of the supplies I used for this project are linked in the link-up tool at the bottom of this post. Oh my!!! Torico did it again!!! This pirate set ist SO SO fabulous! Love all characters. I created a clean and simple scene to feature this pirate image. I first made a beach background. I used the Cloud stencil to make the sky. I blended the stencil and the sand with Distress ink and a dauber. I then stamped the sentiment and the seagulls in black dye ink using the Mini Misti stamping tool. I stamped the pirate and the coins in black hybrid ink, colored them, cut them out with scissors (but you can get the coordinating dies too) and adhered them to the background with foam pads. I added Wink of Stella clear glitter on top of the coins and the sword. I also added silver glitter to the coins for more interest. 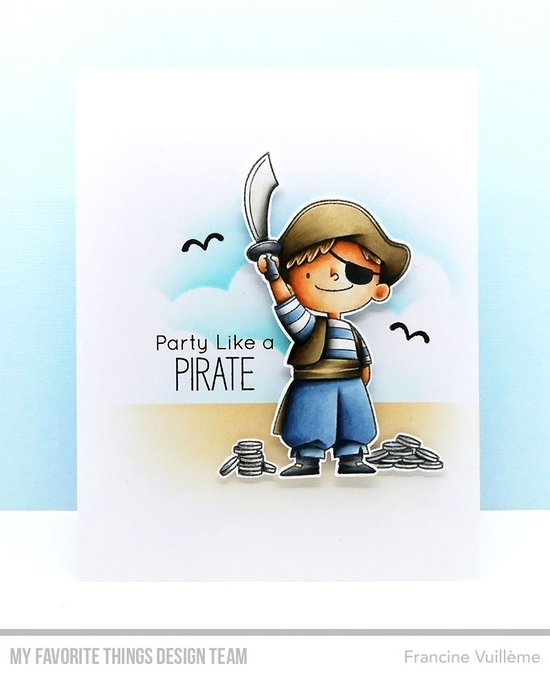 As soon as I saw the Pirates, I knew you would create something fun with them :) Adorable card and beautiful Copic coloring, Francine! I have no words to say how much I love your no borders card. So cool. Great colors. 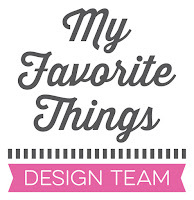 Love your design.. . A little background and the very friendly main character. Fabulous! Its such a Adorable card ! Clean and simple...so sweet. Thanks. Adorable card. This is a must ave stamp set. Yo Ho! The pirates are so versatile and a sweet way to send greetings! What a cute, happy card. Love it! Your card would be great for a kid or adult! Yet another fantastic creation where your colouring just blows me away! Love all the details like the horizon shading, the clouds and shadows. Your coloring of the pirate is AWESOME!! !